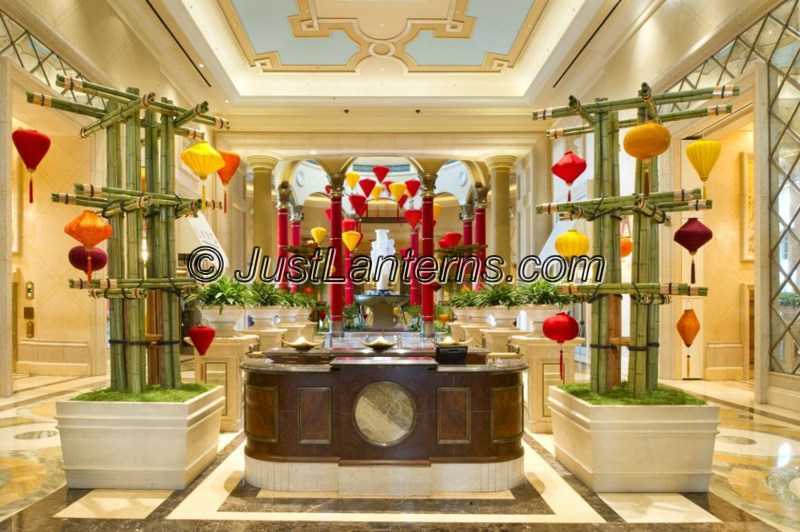 The Palazzo Las Vegas debuts festive Chinese New Year decor in celebration of the Year of the Rabbit. Photo Credit: Paul Stocum Cashmen Productions Beautiful entry decorated with our silk lanterns (medium size) hung on custom bamboo frames. Colors for this design: red, yellow, prosperity, golden brown and burgundy.